Social interactions in every domain of human activity are transformed through the use of new media. This study provides a preliminary assessment of the value of new media for co-production between government and (communities of) citizens. This article analyzes innovative practices in the Netherlands of new media usage to support the coproduction of safety and to facilitate the coproduction public service support. The results of the qualitative research show that both forms of coproduction provide value to governments and citizens but they differ in their value for strengthening citizen communities. Individualized and community coproduction are identified as different outcomes of socio-technological trajectories. Les interactions sociales dans chaque domaine de l’activité humaine sont transformées par l’utilisation de nouveaux médias. Cette étude fournit une évaluation préliminaire de la valeur des nouveaux médias de coproduction entre le gouvernement et les citoyens (communautés de). Le document analyse les pratiques innovatrices dans les pays-bas de l’utilisation des nouveaux médias à l’appui de la coproduction de la sécurité et de faciliter le soutien de la fonction publique de coproduction. Les résultats de la recherche qualitative montrent que les deux formes de coproduction donnent une valeur aux gouvernements et aux citoyens, mais ils diffèrent dans leur valeur pour renforcer les collectivités du citoyen. 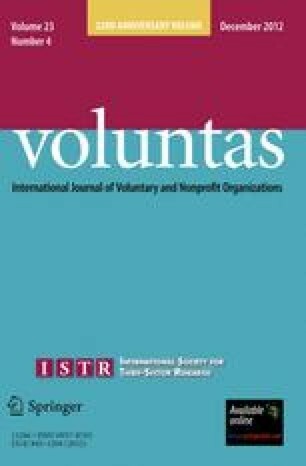 Individualisés et coproduction de la communauté sont identifiés comme des différents résultats des trajectoires socio-économiques-technologiques. Soziale Interaktionen in jeder Domäne der menschlichen Tätigkeit werden durch den Einsatz neuer Medien verwandelt. Diese Studie liefert eine Einschätzung des Wertes der neuen Medien für Koproduktion zwischen Regierung und Bürgern (Gemeinden). Das Papier analysiert innovative Praktiken in den Niederlanden der Nutzung der neuen Medien, die Koproduktion der Sicherheit zu unterstützen und die Koproduktion öffentlich-rechtlichen Unterstützung zu erleichtern. Die Ergebnisse der qualitativen Forschung zeigen, dass beide Formen der Koproduktion zu Regierungen und Bürger Wert aber sie unterscheiden sich in ihrem Wert für die Stärkung der Bürger-Gemeinden. Individualisiert und gemeinschaftlichen Koproduktion als verschiedene Ergebnisse sozio-technologische Trajektorien erkannt wurden. Las interacciones sociales en todos los dominios de la actividad humana se transforman mediante el uso de nuevos medios de comunicación. Este estudio proporciona una evaluación preliminar del valor de los nuevos medios para la coproducción entre Gobierno y ciudadanos (comunidades). El articulo analiza las prácticas innovadoras en los países bajos de uso nuevos medios para apoyar la coproducción de seguridad y para facilitar el apoyo del servicio público de coproducción. Los resultados de la investigación cualitativa muestran que ambas formas de coproducción proporcionan valor a los gobiernos y los ciudadanos, pero difieren en su valor para el fortalecimiento de las comunidades de ciudadanos. Coproduccion individualizado y coproducción de comunidad son identificados como diferentes resultados de trayectorias socio-tecnológicos. يتم تحويل التفاعلات الاجتماعية في كل مجال للنشاط البشري من خلال استخدام وسائط الإعلام الجديدة. تقدم هذه الدراسة تقييما أولياًللقيمة من وسائط الإعلام الجديدة للإنتاج المشترك بين الحكومة والمواطنين (مجتمعات). يحلل الممارسات المبتكرة في هولندا لاستخدام وسائط الإعلام الجديدة لدعم الإنتاج المشترك للسلامة وتسهيل دعم الإنتاج المشترك الخدمة العامة. إظهار نتائج البحث النوعي أن كل أشكال الإنتاج المشترك توفير القيمة للحكومات والمواطنين ولكن تختلف في قيمتها بالنسبة لتعزيز المجتمعات مواطن. فردية، ويتم تحديد الإنتاج المشترك المجتمع كنتائج مختلفة من المسارات الاجتماعية التكنولوجية. New practices of co-production are being facilitated by the new media.1 The Ramsey County example is telling: citizens are asked to help the police by monitoring online safety cameras. Thirty cameras have been put up at criminal hot spots, or areas with frequent vehicle break-ins, thefts and assaults. The wireless technology allows law enforcement officers to watch what is going on but the police have a limited number of ‘eyeballs’. To extend their number of ‘eyeballs’, they have created a website (www.ramseycountysheriffwebcop.com) which enables users to gain access to 14 of the county’s surveillance cameras set up in various public areas. If users spot any suspicious activity, they can report this to the local authorities. The authorities can then watch the cameras more closely and dispatch police to the location if this is needed. The citizens help the authorities to focus their attention. Technology holds a similar promise for public service support: On the Finance Discussion Forum, a citizen posts the following question: ‘I drive 50 miles one way to work, Can I take my fuel cost off on my taxes?’ He receives several answers that all stress that commuting cannot be deducted. “If you are self-employed or you are going to see clients, you can deduct the mileage, and not your fuel costs. If this is just your commute every day, then no, you cannot deduct anything” (http://www.financialcrisis2009.org/forum/Taxes/latest-0.html). The Finance Discussion Forum enables citizens to obtain public service support from other citizens. Instead of calling the Internal Revenue Service, they can pose their questions on the forum and they receive various answers. One could argue that this type of activity takes some of the burden of the shoulders of the IRS since citizen communities are now doing part of the work themselves. Specific questions may still need to be asked to the IRS but other questions are taken care of by citizens. Public service support is no longer the sole responsibility of government: it is coproduced by government and citizen communities. This new form of public service support is facilitated by web technology. The two examples both show that citizens can be involved in the coproduction of public services but the highlight different models of civil society engagement. In the case of Ramsey County policing, there are many contact between citizens and government but no contacts between different citizens. In contrast, the Finance Discussion Forum illustrates how new media can be used to build a new community of citizens and these citizens take over part of the government’s role of providing information to citizens. Both examples show how increased citizen engagement is facilitated by new technologies. In essence, co-production is about creating new connections between government and citizens. Fruitful connections can contribute to solving societal problems such as crime and theft but improving public service delivery. Although co-production has been explored since the 1970s, we are witnessing a new wave of attention for this form of citizen participation. The new media are an important facilitator for new forms of co-production because the costs of connecting to citizens have been reduced drastically and the new technologies create opportunities to interact 24/7. In short, new media hold the promise of strengthening co-production in an information age. Will the new media deliver their promise? It is too early to evaluate the effects of technology on co-production between government and (communities of) citizens. Various forms of experimenting are taking place. New practices are being developed and redeveloped. Enthusiasts inside and outside government are developing ideas to enable citizens to connect in new and meaningful manner to government agencies. These experiments are taking place in policy areas such as social welfare and healthcare but also in policing and service delivery. On the basis of these experiments, we can provide a preliminary assessment of the value of technology for co-production between government and citizens and the contribution to the development of non-profit platforms for community support. A pure instrumental assessment of new media, however, would provide too narrow a focus. Research into the impact of new media in the public sector has constantly shown that new media do not only have an instrumental but also an institutional effect (Kling and Dunlop 1991; Snellen and van de Donk 1998). Values embedded in the media have an effect on the practices that are carried out through these media. This has been formulated most pointingly by McLuhan (1964) in his famous phrase ‘The medium is the message’. The safety cameras in Ramsey County may not only strengthen police’ effectiveness: it may also fundamentally alter the relations between police and citizens. We need to explore these changes as well. This article is based on theories about new media in social practices, and hence adds another dimension to the multidisciplinary analysis of co-production. In line with the ambition of this special issue to show how co-production actually works in practice, it is based on two empirical research projects. The first project is an analysis of the value of websites for co-production in public service delivery (Bekkers and Meijer 2007). The second project was an analysis of the use of mobile phone technology in the co-production of safety between police and citizens (Bekkers and Meijer 2010). The empirical research consisted of a combination of qualitative methods. The main part of the research of co-production in public service delivery consisted of an analysis of 150 posts on the forum.werk.nl. In addition, an interview and a limited survey were carried out. The analysis of co-production of safety consisted of an interview, a media analysis and a secondary analysis of two evaluation studies. The empirical findings from these projects are used to enhance our understanding of the role of technology in co-production. What will be the character of co-production in an information age? This model of public service production was challenged by ‘new public management’ (Pollitt 1990; Hood 1991; Osborne and Gaebler 1993; Barzelay 2001). New public management emphasized the importance of customer satisfaction and the basic idea was that civil servants should not only strive to follow formal procedures but they should make an effort to serve customers. The private sector was presented as a guiding ideal for making citizens more satisfied with services in the public sector. Osborne and Gaebler (1993) emphasized that an ‘entrepreneurial spirit’ should transform the public sector. A range of publications challenged this idea of public service delivery and many authors emphasized that public service delivery was fundamentally different from service delivery in the private sector (Pollitt and Bouckaert 2000). An alternative approach is the so-called ‘new public services’ (Denhardt and Denhardt 2007). This approach highlights the fact that public services are different from private services. Reacting to Osborne and Gaebler’s claim that public services should focus on steering and not on rowing, Denhardt and Denhardt emphasize that public services are about serving and not steering. Whereas both the new public management and new public services focus on the role of governments and civil servants, a different strand of critique on new public management focuses on the role of citizens in the production of public services. The argument here is that in new public management citizens are generally regarded as consumers whereas citizens should be regarded as coproducers of public services (Bovaird 2007). This strand of thinking focuses our attention on an older alternative for a government-centric perspective on public services. The term co-production was originally coined by Ostrom (1978). In the 1990s, Ostrom (1996, pp. 85–86) emphasized that she thinks that “the great divide between the Market and the State or between Government and Civil Society is a conceptual trap arising from overly rigid disciplinary walls surrounding the study of human institutions”. She sees co-production as a core component of most forms of public service delivery. Renewed attention for co-production of public service delivery has been triggered by technological developments. The success of internet-communities such as Wikipedia and Linux has led to a new wave of attention for the idea of co-production (often referred to a co-creation). The proponents of co-production in the public sector refer to these developments and they suggest that the internet creates new opportunities for rearranging relations between government and citizens and developing communities of public service support (Eggers 2005; Tapscott and Williams 2006; Meijer et al. 2012). Ideas about co-production have been revitalized by the new internet technologies. How can new media facilitate co-production? Beautiful scenarios of co-production in an information age have been developed by creative thinkers. A great example of these scenarios is Leadbeater and Cottam’s (2007) argument to organize public services in the form of a ‘user generated state’: “A public sector which just treats people as consumers - even well treated ones - will miss this dimension of participation which is at the heart of the most successful organisational models emerging from the interactive, two-way Internet”. They argue that new forms of co-production are the key to revitalizing the public sector. The potential of these new models has been highlighted but they are only slowly diffusing into the public sector. The idea of a ‘user generated state’ not only conflicts with bureaucratic standards but also hardly fits within the dominant discourse on technology. The dominant discourse on contributions of information and communication technologies to public services has been heavily dominated by new public management and pays little attention to the idea of co-production (Bekkers and Homburg 2007). Improvements have been sought in improving service to individual customers by enabling 24/7 access, integrating services and connecting services to the experience of users. The basic model underlying these improvements is a relation between a public service provider and an individual consumer. The perspective of co-production opens up the arena to other actors who could possibly play a role in the provision of public services. From this perspective, involvement of citizens, intermediaries and stakeholders strengthens the provision of public services. This idea fits recent shifts in thinking about internet technology from the internet as an information medium to the internet as a platform for communication and interaction (Meijer 2011; Meijer et al. 2012). The dominant, consumerist ideas about technology in government are being challenged by a coalition of advocates of co-production and social media enthusiast. Ideas of co-production as developed in the administrative sciences match well with ideas about co-production as they have been developed in the internet community and by technology gurus (Raymond 1998; Tapscott and Williams 2006). Leadbeater and Cottam (2007) state: “Traditional professional public services will be more effective the more they are designed to help and motivate users to generate their own content and solutions. (…) That is why promoting participation should be at the heart of a new agenda for public services. Not participation in formal meeting or governance but participation in service design and delivery.” Wikipedia and Linux are inspiring examples which lead the way towards new models of service production in which services are not only produced for consumers but also by consumers (cf. Toffler 1980). The idea of co-production on the internet has received new attention with the thrust of what has been labeled ‘Web 2.0’ (O’Reilly 2005). Frissen et al. (2008, p. 62) indicate that Web 2.0 consists of new platforms for interactions with extensive input from users, integration of knowledge and user participation in the production of web services. One of the core assumptions of Web 2.0 is that users generate content. Content is no longer produced and provided by the public service provider but rather being created—i.e., coproduced—in networks and communities. Content is made available to all members of the community and generally stored in an accessible format to create an online interaction platform and repository for the virtual community. In IT-circles, the instrumental perspective on new media and co-production is dominant: the basic idea is that objectives can be attained more efficiently with new technologies. Media theorists such as McLuhan (1964), Postman (1986), and Winner (1977) emphasize that media should not only be analyzed as instruments to obtain certain objectives since the use of media also influences these objectives. McLuhan emphasizes that ‘the media is the message’, Postman stresses that ‘to a man with a hammer everything looks like a nail’ and Winner talks about ‘reverse adaptation’ to indicate that the means shape objectives. Applying their views to the use of new media for co-production in the public sector, we need to analyze not only goal attainment and side effects. A reflective perspective on the emerging new practices is needed to understand the meaning of these new media for shaping relations between citizens and government. To enhance our understanding of the instrumental value of new media for co-production and to reflect on the changing meaning of it, we investigated emerging practices of co-production in two different domains of government activity: public service support and safety. New practices are described and analyzed in terms of their value for government and (communities of) citizens. We will present a reflection of changing meanings in the analysis of empirical findings. If you gain some money from incidental selling of things on e-Bay, that is not a problem. It is wise to contact the agency if you start gaining a profit of 50 euro or more a month on average. Your contact person will—in contact with you—determine to what extent this counts as additional income and whether this influences your unemployment benefit. These answers are based on the previously mentioned database with questions and answers. If a client would call the contact center of the Unemployment Benefit Agency, he would get the same answer. Moderators also organize and connect discussions in the forum. If users show behavior that does not comply with the rules, moderators intervene. Do the efforts of the agency trigger participation from citizens? Our analysis indicates that there is a small group of active participants and a large group of ‘lurkers’. With nearly 1,000 members of the forum, the forum has a substantive group of users, albeit that this is only a small fraction of the total number of clients of the Center for Work and Income (165.000 in December 2008). The number of active participants is small. 91 members have posted 10–50 messages, 47 members have posted more than 50 messages and two frequent posters have posted nearly halve of all messages. The number of users is not known but a calculation on the basis of the average total number of visits for certain discussion indicates that the forum attracts thousands of visitors per week. This indicates that the number of people that use the information—lurkers in internet terms—is much higher than the number of people that post information on the forum. Thirdly, users use the forum to share personal experiences. Descriptions of experiences do not result in questions to other users but rather in a call for attention and understanding. Mostly users want to share negative experiences but sometimes they also want to share positive experiences. Critics such as Keen (2007) have emphasized that there are risks in the provision of information by ‘amateurs’: this information may not be as adequate as the information provided by professionals. The forum.werk.nl does not seem to run this risk since moderators from the government agency can monitor the quality of the answers. The presence of the moderators may have a pre-emptive effect: in our empirical research we found no evidence for a lack of quality in the information provided by other users. What is the value of this form of co-production to the government agency? Firstly, the forum provides an additional channel of interaction with citizens. Moderators provide answers to questions of citizens when these questions cannot be answered by other citizens. Secondly, the forum provides the agency with additional signals about customer satisfaction. Discussions about overactive marketers, problems with digital systems and improper job ads form triggers for the agency to improve its public services. Thirdly, and probably most interestingly, the forum forms an additional function to the existing forms of service provision in the sense that citizens can provide each other with information that the agency cannot. Citizens exchange specific experiences and they can tell each other how they have dealt with specific situations. Emotional support is also an important additional function that citizens can provide to each other whereas the agency cannot do this. Does the forum provide additional value to (communities of) citizens? Strong quantitative evidence is not available but the interview with respondents at the government agency and the content analysis provide indications of the value of the forum. Our analysis indeed seems to show that citizens obtain valuable answers to their questions. The second value of the forum could be that the forum enables citizens to exchange experiences with companions. The qualitative analysis shows that many of the postings contain stories about negative experiences of citizens when applying for a job. Reactions are generally understanding and supportive. We note that these discussions may result in a negative atmosphere concerning the issue of finding a job. The third potential value of the forum is support in finding a job. Neither the interview nor the content analysis provides evidence that the forum helps citizens to find a job. Overall, we did find that the Internet helped citizens to develop a strong and vital community that decreased the dependency of citizens on government information. The second empirical domain in our analysis of new media and co-production is safety. The police need citizens to assist them in their intervening police work, for example to provide information about the direction in which a criminal has run away. The traditional approach to engaging citizens is to ask bystanders for information. Important limitation of this approach are that only a limited number of bystanders can be reached and that the intervening police officer has to spend his time on gathering information from citizens in stead of intervening in a situation by pursuing the criminal. The Dutch police developed a new system for engaging citizens in intervening police work called Burgernet (Citizens Net). The system was tested on a small scale in 2004 in the city of Nieuwegein and on a larger scale in 2008 in nine Dutch cities. Over the next years, Citizens Net will be implemented in every police department in the Netherlands. The basic idea behind the system is that the police contact citizens over the telephone when they need direct information from them. They can contact them in the so called ‘golden hour’, the time directly after something has been reported. The participants receive a new message when the Burgernet action is terminated. They can also obtain additional information about this action on the Burgernet website. The website presents information about the results of the action. This may mean that the police are still looking for a suspect but it can also mean that a lost child has been found. The website shows the number of citizens that have been contacted and the number that has actually been reached. The website does not contain any interactive element: interaction between police and citizens only takes place over the telephone. The police have three broad objectives for Citizens Net. The first objective is to strengthen the subjective safety, citizen’s perception of safety in their own environment. The basic idea is that citizens will feel safer when they can do something about safety. The second objective is to strengthen objective safety. Tracking suspected or missing people faster will enhance the effectiveness of intervening police work. A third objective is to strengthen trust in government and the police. If citizens are engaged in police work, they can be expected to develop a more positive perception of the police. Citizen’s interest in this form of co-production is high with an average of 4.6 % of the citizens in the nine cities signing up for participation in Citizens Net. The evaluation of Citizens Net in the nine cities shows that only 24 % of the participants are under 36 years of age. Most of the participants, 62 %, are male. This lack of representativeness may not be a problem when it comes to findings lost persons but it may both reflect and affect trust of immigrants and young people in the police and lead to skewed perceptions of safety. Why do citizens engage in Citizens Net? A citizen’s duty and wanting to contribute to the safety of the neighborhood are the strongest motives for engaging in Citizens Net (Van der Vijver et al. 2009, p. 49). Expected effects in terms of apprehension of criminals and a safer neighborhood and the idea of better hold on the safety in the neighborhood score somewhat lower. The latter two can be seen as motives based on group interest. Television broadcasts about Citizens Net reveal another motive that was not measured in the evaluative study by Van der Vijver et al. excitement. In a television program about Citizens Net, a citizen reveals that he found it exciting to receive a phone call from the police and to have to look out of the window to spot the suspect. De Wit (2006 p. 47) also found that a substantial minority of interviewed participants mentioned excitement as a reason for participating in Citizens Net. Does this form of co-production contribute to police’s effectiveness? The hard contribution of Citizens Net to intervening police work is substantial: 9 % of all the cases that were qualified as fit for a Citizens Net action is solved on the basis of information from this action. This number seems limited in terms of the total number of actions but it amounts to more than 50 % of the successful police actions. This indicates that Citizens Net is not a miracle product with which all crimes can be solved but it certainly forms an important addition to the existing means. How does Citizens Net affect subjective safety? Do citizens feel safer? The evaluation study indicates that Citizens Net has no effect on citizens feeling of safety in their own neighborhood. Van der Vijver et al. (2009, p. 51) argue that these feelings are based upon their own perceptions of the neighborhood and these are not affected by Citizens Net. At the level of the city, Citizens Net does have a positive effect on subject safety. Van der Vijver et al. (2009, p. 51) indicate that these feelings are not based on direct perceptions but on mediated perceptions. These mediated perceptions are influenced by the creation of Citizens Net and the information they receive about how the police work and what the results of these actions are. Overall, Citizens Net did not contribute to building communities of citizens since contacts between citizens are not facilitated by the technological system. Citizens Net can be characterized as individualized coproduction of safety. What have we learned from these cases about the instrumental value of new media for co-production? The forum.werk.nl can clearly be identified as forms of co-production. Value is generated through joint efforts of moderators from the Center for Work and Income and citizens who post questions and experiences and react on each other’s postings. This form of co-production is limited to the co-production of public service support. The production of public service delivery, the provision of the benefits, is still carried out by the agency. It is interesting to see that this form of co-production on the internet is facilitated by proven technology. There is no need for cutting edge technology to facilitate new forms of interactions between the agency and its clients. The forum provides an additional channel for public service support. The forum provides an additional channel for obtaining formal information about jobs and unemployment and disability benefits. This information is provided by other citizens and moderators. The forum creates a new channel for providing formal information to citizens. The forum provides access to citizens’ experiences. The forum also gives citizens access to experiences of companions. Formal channels of the Center for Work and Income or the Disability Agency cannot provide citizens with this information. Offline channels provide the same information but the forums open up the exchange of experiences to a much larger group of citizens. The forum provides a social and emotional function. The forum provides citizens with a channel for sharing experiences. Government-centric service provision has a businesslike character and creates few opportunities for delving into social and emotional issues related to being unemployed. The forum gives citizens the opportunity to set up a mutual support structure. The value and role of the digital forum should not be exaggerated. Less than a percent of the clients of the Center for Work and Income is a member of the forum and less that one-tenth of a percent of the clients actively participates in the discussions. Even though thousands of people visit the forum and obtain information from it, the forum.werk.nl still plays a limited role compared to other channels of public service provision such as the telephone and face-to-face meetings. Citizens Net can also be regarded as a form of co-production since information from the police is combined with information from citizens to strengthen intervening police work. The police direct this form of co-production: they have all the information from citizens and feed little information back. The website is used to present information about Citizens Net but it contains little information about the input from citizens. The police deliberately choose to use technology only to facilitate citizen-police interactions and not citizen–citizen interactions. This is an understandable choice in view of the risks of reprisals to individuals but it also means that citizens do not have the opportunity to contact each other through to start new initiatives for improving the safety of the neighborhood. In the end, the police want to stay in control. Citizens Net enhances police’s effectiveness. Citizen engagement has provided a substantial addition to the existing opportunities for engaging citizens in intervening police work. Citizens Net is not a miracle product but it certainly forms an important addition to the instruments: it amounts to more than 50 % of the successful police actions. Citizens Net strengthen subjective feelings of safety. Although Citizens Net has no effect on citizens feeling of safety in their own neighborhood, it does have a positive effect on subjective safety at the level of the city. This perception is influenced by the creation of Citizens Net and the information they receive about how the police work and what the results of these actions are. The advantages of this type of citizen engagement are substantial. The combination of information technology at the side of the police (database with information about participants, geographical layer for choosing relevant participants, system for managing Citizens Net actions, Internet site with further information) and (cell) phones at the side of citizens form a perfect couple. This type of technology use does not demand access to technology for citizens or knowledge about complicated systems. (Nearly) everyone has a telephone and knows how to use it. Technology does not form a barrier to participation. Although positive effects for police effectiveness and legitimacy were identified, the study also provided information about (potential) risks. These risks build upon the normative debate in the literature about the “dystopian dangers of unreflexive communitarism” (Hughes and Rowe 2007, p. 318). Negative side effects concern infringements on the privacy of citizens and the risk of practices of vigilantism. Both risks relate to the idea that the benefits of co-production will not equally be divided over citizens. In the practices of co-production in investigative police work, suspects face a deterioration of their position because of the infringements on their privacy. These infringements follow the general trend of prioritizing safety over privacy (Rubenfeld 2008). Overall, the findings indicate that technology facilitates new forms of co-production. The forum.werk.nl facilitates new connections within communities of citizens and between citizens and the public service provider and Citizens Net facilitates new connections between citizens and the police. Creating the same connections without new media would hardly be possible in view of the numbers of participants and their geographical dispersion. The new media help to create new connections. These connections help to strengthen the effectiveness and efficiency of public service delivery and safety policies. Although these contributions are limited—one should not expect the miracles from co-production through social media that gurus talk about—they present promising venues for improving the work of government. Mixing of information sources. In a traditional system, citizens can obtain information from either government or their peers. In the new system the distinction between these two is fading away. Citizens ask a question and they can get an answer from either the moderator or a fellow citizen. Mixing of functions. In a traditional system, citizens obtain factual information mostly from government agencies and emotional support from their peers. The forum challenges this distinction by creating a virtual space in which both factual information and emotional support is provided. The value of the forum is that the community of citizens is created. The postings on the forum show that there is the idea of a shared identity based on the fact that they are in the same situation, which is similar to what has been found for patient groups (Madara 1997). This shared identity, however, can only result in a community when citizens have a communication platform to exchange information and experiences. This community is a partial and not a holistic community in the sense that most members only contact other members on issues related to jobs and benefits. The community consists of networked individuals as indicated by Castells (2001) and Wellman and Haythornthwaite (2000): individuals create new connections but these do not take the form of traditional communities. The community of citizens in forum.werk.nl is similar to the many patient groups on the internet and can be classified as ‘communities of interest’ (Van Bockxmeer et al. 2001). These groups also provide both factual and personal information, informative and emotional functions. Traditional perspectives on co-production emphasize factual and informative functions. Relations between government and citizens are the central focus in many analysis of offline co-production whereas here we see a shift to citizen–citizen connections and community building. The analysis of the forum.werk.nl clearly shows that public service delivery also entails personal information and emotional functions. Co-production should not only be conceptualized as a rational process but also as a series of social and emotional interactions. What can we learn from a reflection on new practices of co-production in the police? The empirical research into the co-production of safety highlights a second pattern: an increasing emphasis on entertainment and excitement as motives for citizens. Intervening police work turns into a real life game in which everybody can participate. Get a text message, look out of your window, and catch the thief. An interesting feature of this new form of co-production, is that, seem to be integrated in the life of citizens. Citizens can receive a text message from the police any time of day and wherever they are. The distinction between serious participation and real life games is thinner than it is in offline co-production. While television may reduce everything to a form of entertainment (Postman 1986), the new media arguably transform all content into a game. Interviews with drivers of tanks in war zones have indicated that these drivers feel that they are in computer game. In the co-production of safety, stakes are not as high but the impact of new media may be identical. One can think of several reasons why people play games. A first reason to play games is to kill time and have something to do. Participation in Citizens Net is specifically high among senior citizens. One could assume that these citizens need something to do and Citizens Net provides them with a useful alternative. A second reason to play games is to have an intellectual challenge. One can play a puzzle, do a Sudoku or get involved in Citizens Net. This type of puzzling may be relevant to more investigative police tasks. A third reason to play games is to compete with others and attain a higher social status. The motives for participating in the Citizens’ Net seem to indicate that people want to obtain social value and we could even propose that they want more value than others by presenting relevant information to the police. The idea that the new media transform co-production into a game has important implications. The police may even have to compete with other ‘games’ to get the attention of citizens. Will they play Dungeons and Dragons or watch the police cameras in Ramsey County? Developing meaningful relations in our ‘attention economy’ (Davenport and Beck 2001) may be a matter of developing the right games. Issues of privacy and protection of the rights of suspects may become less important in the new forms of online entertainment. Previously, religious duties seemed to have formed the model for citizen participation as secular institutions replaced pre-existing religious institutions (De Tocqueville 2000). Visiting police neighborhood meetings was not considered to be ‘fun’ but it appealed to a sense of civic duty as going to church (Verba and Nie 1972). Now these contacts with the police are based on the idea of gaming. Dungeons and dragons may be the new model for co-production. What have we learned from these emerging practices about co-production in an information age? The key lesson is that technology matters in both an instrumental and an institutional sense. Technology facilitates new practices of co-production: new media lower the costs of large scale and dispersed interactions, and therefore enable practices of co-production that could hardly be created offline. The new media also transform these practices into more social and more playful interactions: co-production in an information age seems to be less serious than offline co-production. An important question here is what these changes mean for government and for communities of citizens. Is government capable of developing social and playful interactions? And is this a task for government? Or are citizens capable of developing these forms of interactions themselves? Let us first consider co-production in public service support. Why should governments not leave it to citizens to organize their information provision about public services? The Center for Work and Income has chosen to set this forum up because there was not yet a similar forum available. The forum is fairly active and seems to meet unmet needs (Madara 1997, p. 21). An important benefit for the agency was that this also means that they can monitor the discussions and that they can react to rumors and incorrect information. On the other hand, one can question whether government agencies should penetrate the personal sphere of citizens (cf. Habermas 1984) to improve the provision of public services. Should government agencies be involved in the exchange of personal experiences of citizens? And should government be the one that provides these facilities? The Finance Discussion Forum in the introduction presents an interesting alternative: citizens answer each others’ questions without government involvement. One could argue that government should only develop this type of co-production when citizens have not developed a similar platform by themselves. The considerations may be different when it comes to the domain of safety. These coproduction practices we identified have much value but do not enable the exchange of information between citizens and the police. This exchange is crucial since citizens and police both hold part of the information and need each other to produce safety. For privacy reasons, the police cannot put their information out in the open and citizens will also be reluctant to share certain information with anybody else then the police. These constraints on the exchange of information call for the design of effective forms of co-production. Citizens Net shows that playful interactions can be designed, and these forms of play can contribute to public safety but not to stronger communities. In the information age, (communities of) citizens and governments need to reassess the need, opportunities and forms of co-production. Social media enable the construction of new connections between government and citizens and these connections could hardly be created offline. Social media also facilitate both individualized and community forms of coproduction. The value of these connections depends on the policy domain, institutional situation and existence of citizen communities. The challenge for governments and citizens is to use new media to develop forms of coproduction that fit the context and generate fruitful social interactions. This article is based on a text previously published in Pestoff et al. (2012). Frissen, V., Van Staden, M., Huijboom, N., Kotterink, B., Huveneers, S., Kuipers, M., & Bodea, G. (2008). Naar een ‘User Generated State’? De impact van nieuwe media voor overheid en openbaar bestuur, Report for the Dutch Department for the Interior, The Hague. http://www.minbzk.nl/111201/naar-een-user. Leadbeater, C., & Cottam, H. (2007). The user generated state: Public Services 2.0 http://www.charlesleadbeater.net/archive/public-services-20.aspx. Nichols, R. (2010). Neighborhood Watch Goes Digital in Ramsey County, Minn. Government Technology. Retrieved November 22, 2010, from http://www.govtech.com/public-safety/Ramsey-County-Minn-Neighborhood-eWatch.html. O’Reilly, T. (2005). What is Web 2.0? Design patterns and business models for the next generation of software. Retrieved December 1, 2010, from www.oreillynet.com/lpt/a/6228. Raymond, E. S. (1998). The cathedral and the bazaar. First Monday, Vol. 3, www.firstmonday.org.